This delicious and nutritious blend is made with honey roasted peanuts, crunchy granola protein clusters, candy coated dark chocolate soynuts, and wholesome roasted almonds. Each nut is fiber rich and packs energy you need to take on your day. After those intense workouts at the gym, all your body craves for is protein. 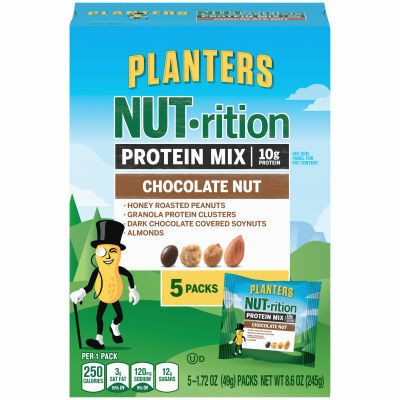 Provide it exactly what it wants with a handful of Planters protein mix. These nuts are enriched with protein, which helps in repairing and growing your muscle fibers.